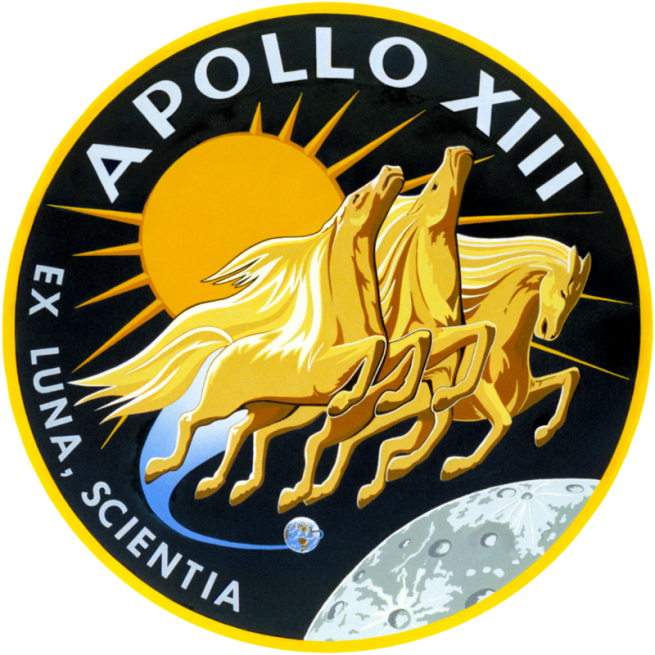 Despite their scientific justification of gaining samples of the lunar regolith, the Apollo expeditions had two objectives laid down by President John F. Kennedy in 1961: to land a man on the Moon and return him safely to the Earth. A critical part of the second objective, returning safely to the Earth, was a trajectory that would bring the spacecraft back from the Moon and re-enter Earth’s atmosphere. Dr. Jack Crenshaw was one of the pioneers in designing the figure-8 trajectory which became known as the free-return trajectory. The early Moon missions set off for our closest celestial neighbor in the free-return trajectory which, if uncorrected, would loop them around the Moon and return them straight to Earth. In order to orbit the Moon and land on it, the Apollo spacecraft’s Service Propulsion System (SPS) engine had to fire in order to slow the vehicle down and settle into lunar orbit. Delicate calculations were needed in order to ensure the orbit would not bring the craft into a collision with the lunar mountains. Crenshaw graduated from Auburn in 1958 and applied to the National Advisory Committee for Aeronautics (NACA)—the precursor to NASA. He received a reply with NACA letterhead—with the “C” crossed out and replaced by an “S”. That was Crenshaw’s first introduction to the U.S. space agency. Crenshaw joined NASA Langley in April of 1959, where he was slated to work with one of the wind tunnels. Crenshaw protested that he was a physicist and knew nothing about aerodynamics. He asked where he could use his expertise in advanced dynamics. From there, was placed in the Theoretical Mechanics Division with Clint Brown. Later that year, Brown created the Lunar Trajectory Group, led by Bill Michael, which was to study lunar trajectories for manned and unmanned missions (and they were all ‘manned’ in that era). The team in which Crenshaw found himself included Bob Tolson, John “Gap” Gapcynski, and Wilbur Mayo. They were tasked with designing a mission based on the old Scout solid-propellant rocket, to send a “Brownie” class camera to photograph the far side of the Moon. Bill Michael came across a paper by Hans Lieske and Bob Buchheim of RAND Corp., who had studied the circumlunar trajectory. Michael asked Crenshaw to study it in more detail, using a computer simulation of the Restricted Three-Body Problem. The study was later expanded to include a full 3-D, N-body simulation. Michael and Crenshaw authored the paper Trajectory Considerations for Circumlunar Missions, which was presented at the Institute of Aerospace Sciences 29th Annual Meeting in New York in Jan. of 1961. The difficulty in plotting a circumlunar trajectory is that it is very sensitive to errors in the initial conditions. During the eventful flight of Apollo 13, when an oxygen tank exploded and the command module Odyssey had to be powered down, Commander Jim Lovell was able to save the mission by applying midcourse corrections manually with no help from the Apollo flight computer. In fact, none of the Apollo lunar missions after Apollo 12 used the Free Return trajectory, so that they could better target their landing sites. “So after the accident, the first thing the Apollo 13 astronauts had to do was to get back on a Free Return trajectory,” Crenshaw said. After leaving NASA, Crenshaw worked at GE in Daytona, studying abort trajectories. There, he came up with two classes of maneuvers called “Fast Returns”. If a spacecraft did not land on the Moon, it would still have a lot of unspent fuel in both the service module as well as the lunar module. In order to make a faster return trip, that fuel could be used to get home quickly. It was fortunate, in fact, that the Apollo 13 crew did not attempt the Fast Return. To do so, they would have had to use the SPS engine, which was likely damaged in the explosion. Lighting the damaged engine may well have destroyed the spacecraft. After his time at NASA, Crenshaw worked for General Electric on their NASA Apollo Study Contract in a small team that was responsible for trajectory work. 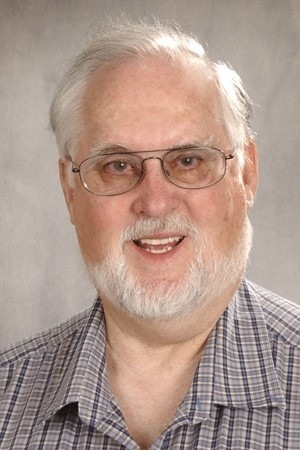 Lieske, who had studied lunar trajectory and provided the basis for Crenshaw’s and Bill Michael’s 1961 paper, was the systems engineer for trajectories. His job was to supply Lieske with trajectories. Crenshaw said: “GE has always tended to encourage competition between groups, and the Apollo effort was no exception. During my stay there, there were no less than eight departments, all vying to be THE GE trajectory analysis group. Hans sought to have one of his own and cooked up a devious scheme to get it. One day he offhandedly asked me to look at the problem of Return from the Moon. As far as I know, no one had yet done that one. I said I would, but there was no sense of urgency about it, and we certainly had more pressing problems to study. A few months later, Crenshaw attended a conference at the American Institute of Aeronautics and Astronautics (AIAA) conference, and he saw that there was a paper by Dr. Paul Penzo on trajectories for Return from the Moon. Because he had not studied the problem before, Penzo had not been able to produce results on Lieske’s tight schedule, but the problem intrigued him and he continued to study it which brought him to AIAA. “Paul and I had a good laugh over it, and [we] became fast friends, though we’ve not met since the Apollo days,” Crenshaw said. According to Crenshaw, Bill Michael was the first to analyze Lunar-Orbit Rendezvous for the Apollo missions. In 1961, Crenshaw had studied the motion in near-circular orbits and developed a theory for the motion of a spacecraft relative to a reference circular orbit. That technique is widely used today for geostationary missions, and it has become known as the Clohessy-Wiltshire equations. But who is Richard Crenshaw in the URL to this article? Yes, the REAL Hidden Figures not the bogus made up embellished BS that hollyweird has just released. I was ar Auburn (Alabama Polytechnic Instute) along with Ken Mattingly who was the astronaut who helped to,guide Apollo 13 iback to earth. Both of these guys were the geniuses that set the grading curves for every class. I worked at NASA in Huntsville in 1961 through 1965. We did indeed have computers that were used for any and all calculations. My wife was a secretary there. She, of course was consulted by Werner von Braun when a critical issue arose..(tongue in cheek). I have not seen the HIDDEN FIGURES movie, but from what Izvestia heard, I think it is a total fabrication. I would ask you to not have a negative sentiment towards the movie Hidden Figures. I would ask you to actually read the book that the film is based on. The truth is that Americans of all stripes contributed to our Space Program (this is true and is much more so today). The book Hidden Figures by Margot Lee Shetterly and Rise of the Rocket Girls by Nathalia Holt tell of the experiences of some people whom the general public did not know about – I think that is helpful. Hidden Figures is not bogus, but an important part of our shared history. With respect to Apollo 13, the Command Module was saved by the Lunar Module which functioned as a life boat. The Lunar Module was built in Beth Page, New York. A key person who did calculations on the fuel load and thruster firings of the Lunar Module was a man named Carl Echols (a black man), one of the Lunar Module engineers. He was woken up very early in the morning and told to rush into Grumman Headquarters, and was placed on a phone with Mission Control. Carl Echols had to give orders over the phone to mission control. Carl’s story was well documented, however he was NOT featured in the movie Apollo 13, though his work was life saving and critical. I should add that an article that discusses him is currently being used as a critique of black Americans. The article is “Giant Step” – It discusses the blacks that worked in NASA, and the social conditions going on in America at that time – Poverty and the Vietnam war. The crux of THAT article is the black Americans in the space program and that their work is largely unnoticed by the general public. Lastly, I know Mr. Crenshaw’s work – He is an incredible engineer and has written many good articles, specifically in the CMP publications. In conclusion The Preamble of the Declaration of Independence of our country espoused a hope of a Nation, that I feel we should uphold especially with what we feel inside towards others – so we should have good feelings towards our fellow citizens, even if they are different. Hidden Figures embellishes on historical events and should therefore not be taken as historical fact. You are asking us to suspend our disgust for Hollywood colorization of the facts in order to support a fabricated gender specific narrative. Sorry…no sale. I knew Carl Echols at Grumman….what a guy!!! of NASA in their own nation’s and Sub continent.